Haru’s other half, Aki mirrors its connected property. 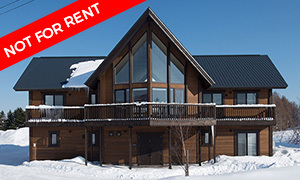 The ability to open and close Aki and Haru’s connected second floor makes these properties an ideal choice for families or friends looking for shared accommodation with the option of a private retreat. One half of twin properties, Haru comfortably sleeps four, with two bedrooms including ensuite bathrooms. 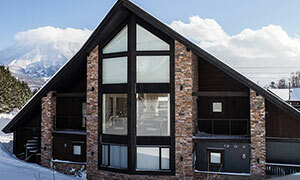 The upstairs boasts mountain views and a spacious living area that can be opened up to connect to its twin sister Aki. Icho opens to two ground floor bedrooms with ensuite bath and showers. The flexible bedroom design is able to accommodate couples, families, and friends. 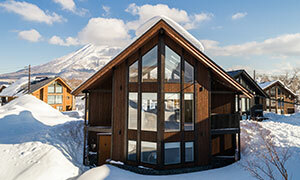 Upstairs finds a bright, open plan, dining and living area with views of The Orchards and Mount Yotei. Kaede is a contemporary two bedroom duplex unit with a clean and Scandinavian-inspired aesthetic. 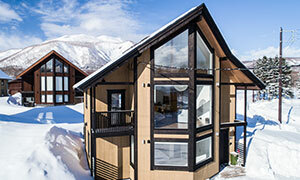 This unit also has the flexibility to combine with its twin counterpart to offer a 4 bedroom option for larger groups. Momiji greets guests with its warm and rustic atmosphere and features expansive views of Mt Yotei from the dining area. It also has the flexibility to combine with its twin counterpart to offer a 4 bedroom option for larger groups. 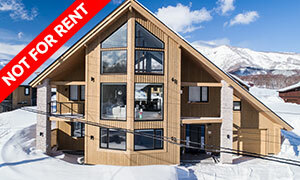 Kawaakari is an immaculately presented 3 bedroom chalet, sleeping up to 8 guests. The floor plan incorporates three bedrooms, two of which have an ensuite, along with two Japanese style baths on the entry level. Kiri boasts a modern open plan living and dining area upstairs. 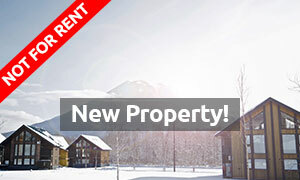 Downstairs hosts 3 bedrooms and a Japanese bath for relaxing after a day on the slopes or in town. 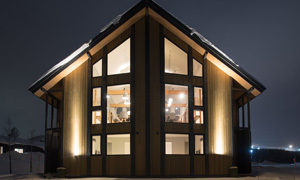 Comfortably sleeping up to 8, Kiri is great for families and groups. Akagashi which sleeps up to 8, has spectacular views across farmland towards Hirafu ski area as well as across The Orchards to Mt Yotei. The 3 main bedrooms, Japanese bath and laundry are on the ground floor, with kitchen, living areas and extra sleeping areas for two guests upstairs. Comfortably sleeping up to six, Ginkyō is ideal for families or large groups, with a master bedroom and two matching double bedrooms. 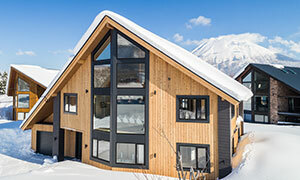 Ginkyō features a modern design and welcoming interior with stunning views of Mount Yotei. Hinoki was completed in early 2017. It boasts a Japanese style bath and balconies. The open plan kitchen, dining and dual living area make the most of the great space on the second floor. One of our latest addition to our collection of 3 bedroom, Orchards house, Kaki boasts two Japanese style baths. The open plan kitchen, dining and dual living area make the most of the great space on the second floor. 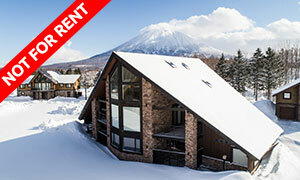 Shimai, is a 3 bedroom property sleeping up to 8, offering views of both Mt Yotei and Mt Annupuri. This property features unique furnishings such as a pool table and retro video game machine and comes equipped with all modern comforts such as Apple TV, Nintendo Wii and international TV. Matsu is a 3 bedroom chalet boarded by a row of pine trees. 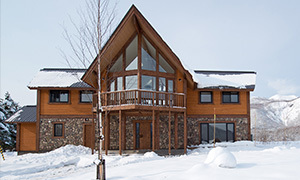 The home sleeps up to 8 featuring a multi-purpose room upstairs for additional guests. 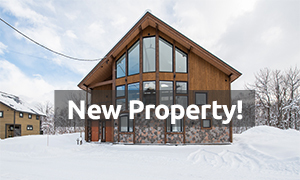 The home features include a large dry room for outdoor gear, under floor heating, Wi-Fi, international channels, and Apple TV. 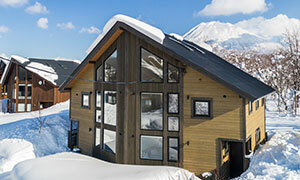 Asahidake features 4 ensuite bedrooms, sleeping up to 10 guests. This functional home is enveloped in light and comfort, with a relaxing colour palette throughout. Upstairs you will find a beautiful open plan living, dining and kitchen space. 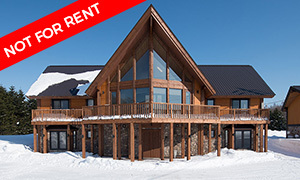 Akamatsu welcomes you with 4 ensuite bedrooms on the first floor and a spacious dry room to store your ski equipment. The first floor incorporates a Japanese style bath, perfect for relaxing in after a day on the slopes in winter or mountain biking in summer. 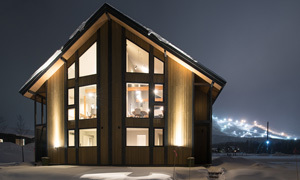 Shiro-Fukurou stands out immediately with its second entrance, taking you directly into the residence's spacious dry room, where you are able to store your ski equipment after a day on the mountain. The first floor incorporates 4 bedrooms, three of which have their own ensuite. Zakuro is a 4 bedroom, 5 bathroom property with views to the central pond. 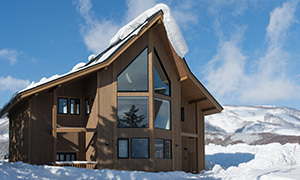 Vaulted ceilings are complemented with large windows, accentuating the spacious kitchen, living and dining area, offering guests uninterrupted views of Mt Yotei. Goyomatsu, named after the five needle pine tree, is a large 4 bedroom property offering guests open views of the surrounding mountains. Backing onto forest, this property features open plan living and dining with family room and a Japanese style bath looking towards Mt Yotei. Washi no Su, is a custom designed 4 bedroom property situated by the central pond with open views of the surrounding countryside. It boasts a spacious family room, open plan kitchen, expansive dining and living rooms with vaulted ceilings to bring in plenty of natural light all day. 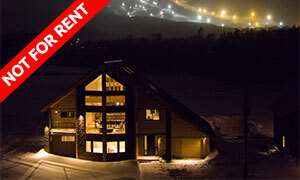 Kitsune, is a custom designed 4 bedroom property with open views of the surrounding countryside. It boasts a spacious family room, open plan kitchen, expansive dining and living rooms with vaulted ceilings to bring in plenty of natural light all day. Sawara is a spacious 4 bedroom, 5 bathroom property. 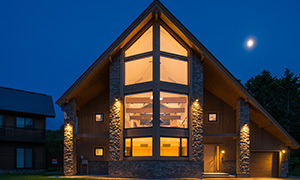 Vaulted ceilings are complemented by large windows, accentuating the spacious kitchen, living and dining area, where guests can enjoy uninterrupted views. True to its name, Sankei boasts three stunning views from its open plan upstairs living area. With five bedrooms, each equipped with an ensuite bathroom, and available additional sofa bedding, this property comfortably sleeps parties up to 12. 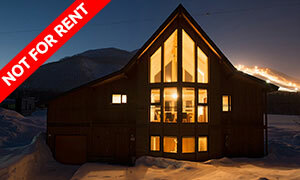 Shiroyama boasts masterful design in this spacious 5 bedroom chalet. A sleek and stylish kitchen opens up into an impressive dining room, perfect for families or large groups. A view of the slopes welcomes you to the open plan dining and living area of Momo. 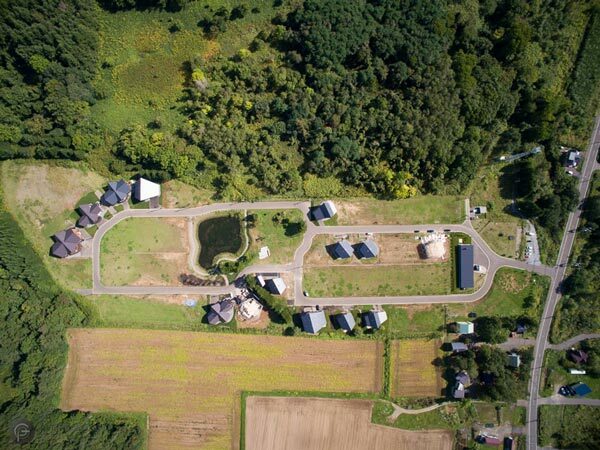 One of The Orchards’ newly built properties, this elegant and comfortable home makes for a perfect headquarters to explore Hokkaido. 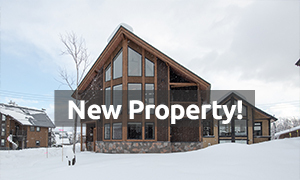 A spacious six bedroom house with a family friendly layout; Kashi incorporates classic ski chalet aesthetic with modern convenience and eastern design to create a welcoming home away from home. This unique property offers a Tatami room and bespoke wooden bath. 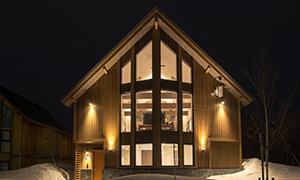 The interior design of Katsura pays tribute to mountain towns across the globe while maintaining a sense of place here in Niseko. Keyaki is a beautiful and distinctive private holiday residence with a grand entrance leading up to an expansive open living area. Other features include a full games room and a large Japanese bath downstairs and the house has an alpine feel throughout. 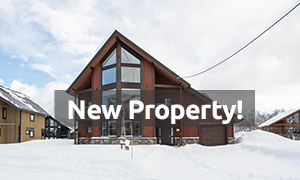 Kuromatsu, is a spacious 3 bedroom chalet sleeping up to 8, boasting views of both Mt Yotei and Mt Niseko Annupuri from the upper floor. The three bedrooms are spread across the ground floor and there is also a separate Japanese bath, spacious drying area and garage for vehicles. 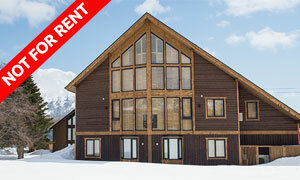 An expansive property with an open plan design, Mikan as an ideal setting for a snow or summer holiday. Mikan’s comfortable interior and Japanese bath stand out amongst the properties many attributes. An idyllic home away from home; Nashi is a spacious 5 bedroom property boasts an elegant kitchen and dining room with views of the slopes of Mt. Niseko Annupuri. Winter Haven is a private holiday home where the upstairs living and dining areas feature open wooden floors and decor complimented by bright and positive art featured on the walls. Downstairs there is an entertainment room and large Japanese bath for the family to enjoy. 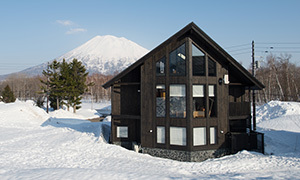 The Orchards Niseko is a community development of houses nestled between Mount Yōtei and Mount Annupuri. The temperate climate and fresh mountain air are invigorating to children and adults alike. 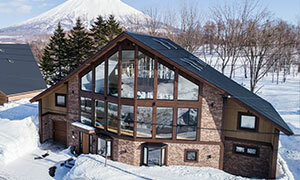 The Orchards Niseko is delightfully conducive to a family escape given its beautiful natural setting with spectacular views. 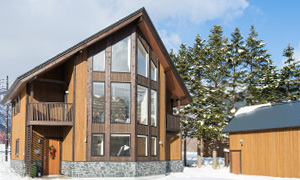 Located on the eastern side of Hirafu – about one kilometre along Route 343 (going towards Niseko) the location provides convenient access to local attractions and activities including Grand Hirafu resort and other local ski areas in winter. 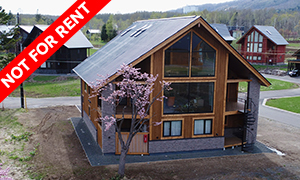 In summer, a pleasant one km walk or short ride from the centre of town, the community offers luxury modern chalets set between the tranquil pond and the tall pine and sakura cherry trees. It’s secluded enough to hear the grasshoppers chirping at night and still close to hiking trails, first class restaurants and activities like the local dairy farm (Milk Kobo choux crème, anyone?). 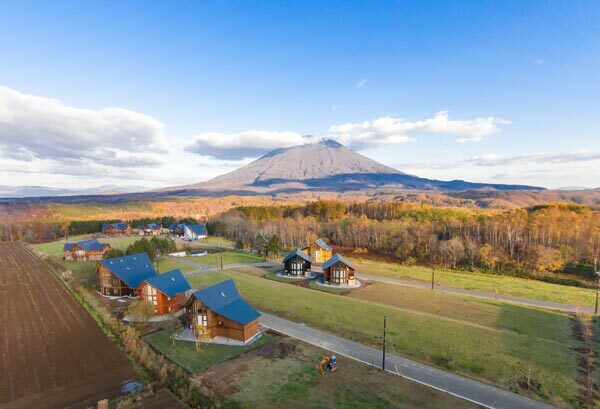 Just like you, this will be the place that your kids will want to bring their friends to – having experienced Niseko’s powder snow and snow boarding in winter, they will want to come here in summer too. 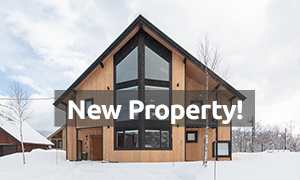 This holiday home will be the location of great family memories whether they be activity-related or just spending time in the serene, natural beauty and healthy lifestyle of Niseko. 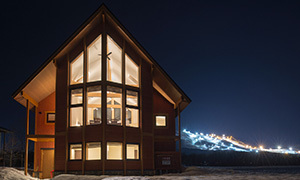 The Orchards Niseko is a unique getaway delivering a perfect combination of a holiday home coupled with resort-level service. It provides privacy for you, your friends and your family. 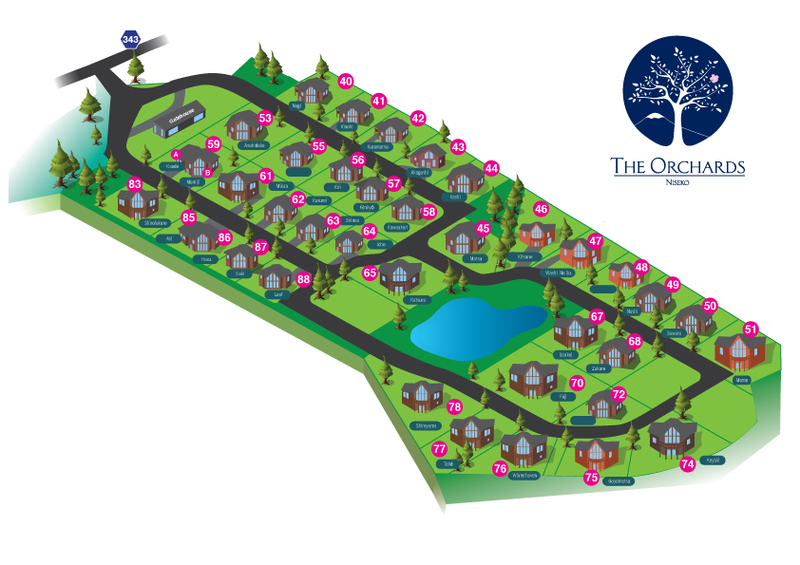 You’ll enjoy luxurious and spacious living perfectly situated within The Orchards’ unique natural environment. Arriving at your home at The Orchards means immediately relaxing and enjoying your holiday. Take advantage of the pre-arrival planning and assistance service to fill your pantry with groceries and your fridge with fresh local produce. Need to hire ski boots or skis? Contact the MnK reservations team and all your equipment will be pre-ordered so you don't waste any time before hitting the slopes. We’ll also turn on your heating so your home is toasty warm, make sure the beds are made up and stock your bathrooms with fresh fluffy towels. Most importantly, you’ll receive individual service tailored to your specific holiday needs all year round. 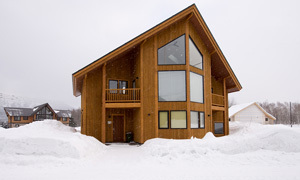 Our on-site hosts are available during office hours, and with off-site emergency assistance available 24 hours a day, your Niseko holiday will operate as smoothly as if you lived here permanently. 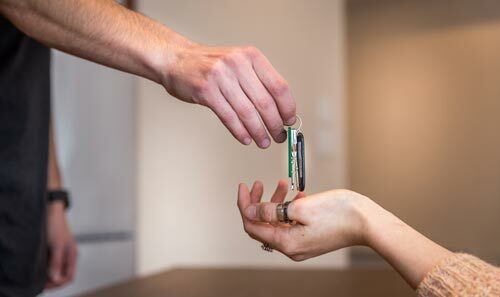 We will be more than happy to answer any questions, assist in any way or provide extra information about the local area and activities throughout your stay. 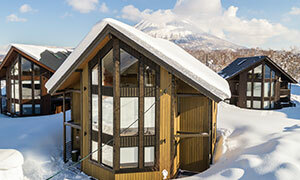 There can be a lot to organize for a holiday in Niseko. 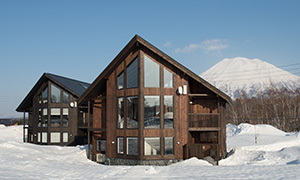 The team have in-depth knowledge of the Niseko area, and an extensive range of contacts that are invaluable to ensure you won’t waste any of your precious holiday time and can enjoy your stress-free holiday. 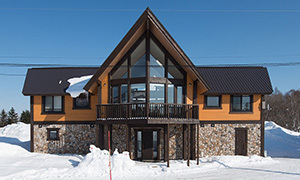 Address: 48-52 Aza Kabayama, Kutchan-cho, Abuta-gun, Hokkaido, Japan 044-0078. 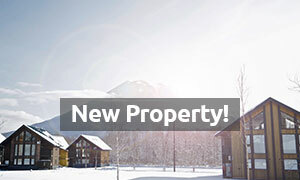 The MnK property management, development, marketing and accounting operations are based at The Orchards Niseko. Please contact us for development, sales or marketing related enquiries or to provide feedback below. Where are The Orchards Niseko? Is there a bus to the ski slopes? 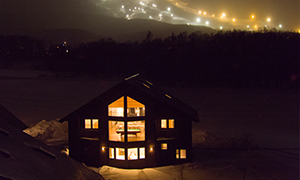 For our Orchards guests, we provide a complimentary shuttle service to and from anywhere within the Niseko United ski area (between the hours of 8am to 10:30pm). 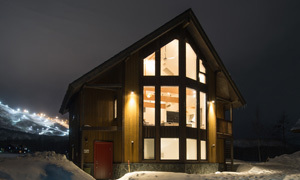 In the evening (between the hours of 6pm to 10pm), we offer restaurant drop off and pick up to Kutchan and Niseko Town. To manage demand and availability, please pre-book your shuttles at least 45mins in advance. The closest convenience store is SeicoMart, approximately a 2-3 minute drive from The Orchards. Our complimentary shuttle stops at SeicoMart. The closest supermarket is the Niseko Supermarket & Deli, about a 5-7 minutes drive from Country Resort. It is located within the Shiki building. The next closest major supermarket is MaxValu, located at the edge of Kutchan Town. There are restaurants in Hirafu of various styles: Japanese, French, Italian, Mexican, Thai and much more! Sapporo City is a 2-21/2 hour drive away from Niseko. It is about 40 minutes drive from New Chitose Airport. A complimentary pick up service from the Hirafu Welcome Center and JR Hirafu station for arrivals before 6pm. 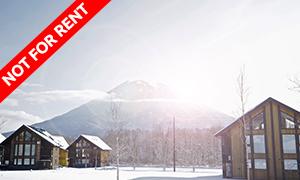 Charges apply for pick ups from JR Kutchan Station and JR Niseko Station.